Our family-owned-and-operated grocery business began in 1948 in the home of Adolph and Yvonne Bourque, selling a variety of home grown vegetables and other staples. Over the years, we have moved through 5 different stores - each one bigger than the last. With lots of hard work and dedication, the business has grown to a 20,000 square foot supermarket, located in Port Barre, Louisiana near the birthplace of Bayou Teche. The business also includes real estate, rental properties, and a catering business. Bourque's Supermarket is widely known for our famous Jalapeno Sausage and Cheese Bread. We offer a complete line of Cajun specialty meats, homemade sausage, boudin, pork cracklins, homemade beef jerky, and fresh produce. Our deli/bakery cooks plate lunches daily, and, of course, we offer plenty of great products to cook those delicious, old-fashioned Cajun recipes. We also make our own Cajun seasoning, fish fry, seafood boil, roux, hot sauce, barbecue sauce, chili, crab and corn bisque, seafood gumbo, and homemade "dirty rice" dressing mix. We are open daily from 7:00 AM to 8:30 PM. We ship our products nationwide, so if you can't make it to Cajun country we will bring Cajun country to you. 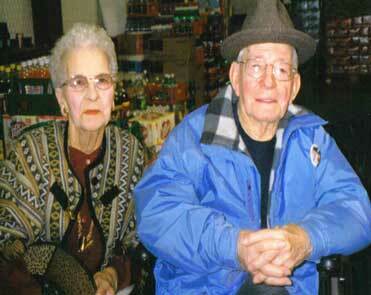 Bourque's Supermarket is currently being operated by children and grandchildren of Adolph and Yvonne Bourque.